I started Keener Strategy with a very simple purpose: let’s help people understand how they fit within a bigger picture – as an individual or an organization- then find out how the system hurts them, teach them to seize the power they’ve had all along, and transform their work-life reality. Today, many of us live or die by our work-life identity and let outsiders evaluate – and price – our worth. Keener Strategy fights for a future in which each worker defines their own value, as a purpose-driven expert, confidently working for their dreams. Today, many of us are hamstrung by bureaucracy and institutionalization, such that producers are divorced from the product of their efforts and alienated from their human-to-human impact on the consumer. Keener Strategy fights for a world that rewards the innovator who cares “too much” about human pain or progress. We fight for a future in which each worker can autonomously apply their unique knowledge to solve problems that are bigger than their immediate social network. Today, many of us work in unsafe conditions, physically, psychologically, and financially. Keener Strategy fights for a future in which each worker applies their minds and hands for the joy of creative interaction and exchange, free to experiment, learn, and grow. We dream of systems that reward progress and personal risks without forcing a false and toxic sense of danger in the process. Today, many of us work tirelessly to produce meaningless artifacts that copy mediocrity. Short-run profits are pursued to the detriment of long-run viability; as individuals, businesses, and nations. Keener Strategy fights for a future in which no individual or group needs to make decisions harmful to their long-term autonomy, mastery, or purpose. We fight for systems in which short-term decisions create long-run viability for the work-life, the economy, and the environment. Today, we often fear socioeconomic progress, technological innovation, and disruptive new business models because our institutions are toxic and short-sighted. Keener Strategy fights for a future in which every child, woman, and man partakes equally and fearlessly in the benefits of stronger, more responsive economic systems and an ever-bountiful harvest of energy, resources, and value. Today, often unknowingly, many of us profit off the blood, sweat, and tears of modern slavery – from parking lot day-laborers to offshore contractors. 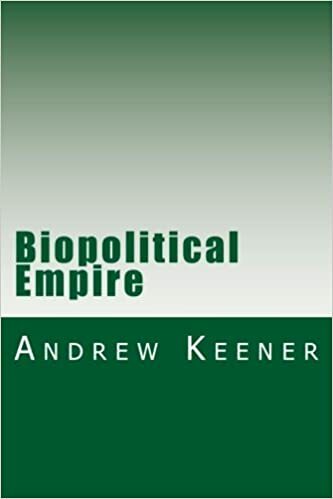 Keener Strategy fights for a future in which economic systems are optimized for the health and vitality of their constituents while maintaining respect for the sovereignty of all individuals, near and far. Today, too many organizations enjoy the benefits of globalized identity without responsibility equal to their influence. Keener Strategy fights for a future in which the power of organizations are brought out of the shadows, in which Corporate Citizenship is nationally defined by our democratic republic, balancing the rights, responsibilities, and influence of our systems appropriate to their scale, to the improvement rather than detriment of the individual human’s sovereignty.